.. currently with Sky fibre I've been trying to place an order for vodafone fibre 78 via there website but it keeps failing at the creating your id etc this maytake 60 seconds page and throws back to the confirm order page with message theres been one or more errors..try again or phone this number. Anyone else had this problem did you get your order though the end with out resulting to calling them? If so how?! Hi, when I tried it failed the first time, so I submitted it again and the second time it worked. If it keeps failing I would just 'phone them. I didn't use my email as a username, and I used chrome too. The error messages don't really give any clue as to what is wrong either. As I said it took two goes for mine to go through and I have no idea why it failed the first time. Ok well after some trail and error I got my order was successful. However now I can't set up my vodafone website account I enter my username and temp password get and a code sent to me I enter it and just get an error dialog over and nothing else happens. How did you resolve this issue? Also on one of my order e-mails under 'what happens next' one of the things it says is - 'One of our advisors will contact you in the next 2 days to discuss your order.' What is this about ? I've got an existing line and number so assume vodafone can just take this over ? 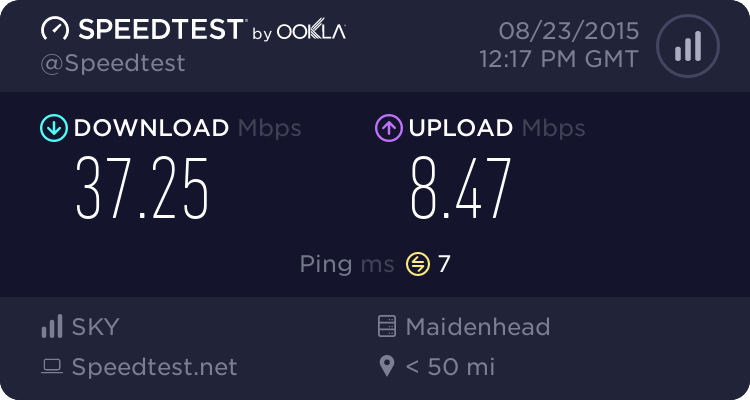 like Sky did when i moved from BT and vice versa (over 4 years)...vodafone don't need to do any work my end do, they it's all just at the exchange etc? Vodafone seem to have about a million departments, so anything gets passed from one team to another before it really happens. I signed up and cancelled all within a few hours, but it took VF another 36 hours to release my phone line. Initially they said "It has been released", but what they really meant was they had passed it to the team who handle that and it was in their queue. Thankfully I cancelled my order with VF, as given then technical inabilities to process calls, let alone tell the truth to customers is amazing. Back to Sky where customer service is great. I get what your saying about customer service, but I took the gamble with VF to save money I mean most people go months if not years without having to speak to customer service *fingers crossed*. well a VF Agent has just been on the phone with me there is an issue with my order causing it get struck in the system and potientially fail. The agent is looking in to it for me so fingers crossed see what he comes back with. So thumbs up to VF the owning the issue and want to resolve it for me. Sorry, only just seen your post, the issue logging in to the 'my Vodafone ' account is unresolved. It seems that many other people are having this problem too. It seems to be related to broadband accounts. The only contact with Vodafone has been by email and text message. Yes, I had a message to say that a house visit was not required. I am still using the kit from the original install back in 2011. (BT did replace the modem with a 3b along the way). So could that be the reason as i've obvousily not got my VF router yet and my line isn't officially turn on and with VF yet. Assuming VF can sort out my order had a call from them to say my order was struck in the system something to do with my address.